This Sunday is Sanctity of Life Sunday, as we give special attention to the sanctity of human life, and grieve as we remember Roe v Wade and the unfathomable loss and pain that abortion has inflicted upon so many. Do you know our local partner? As we pray for the sanctity of life, I want to encourage you with the work that is unfolding right here in our community. Care Net Pregnancy Resource Centers is our local pro-life ministry partner, and we are excited by how we see the Lord transforming lives through their ministry. They are committed to the gospel. They share Christ with their clients throughout the week, and the Lord is using their ministry to bring many to Himself. Their staff and ministry team serves with excellence, professionalism, and compassion. They courageously persevere as a voice for the sanctity of life, teaching families and equipping churches throughout our community. Both the Manassas and Woodbridge centers are truly medical centers, with nurses on staff who offer pregnancy tests and administer ultrasound. All counseling and medical services are provided for free because of the generosity of faithful supporting churches and donors. As the new Woodbridge center opens, both centers will offer ultrasound. This is an essential aspect of their work. Virginia’s informed consent law requires that women receive an ultrasound before proceeding with an abortion. Of the women who have an ultrasound, 83% of them then choose life for their reborn babies. Many parents are choosing life. Hearts are being changed, and each month we hear stories of parents who have chosen life for their preborn babies. 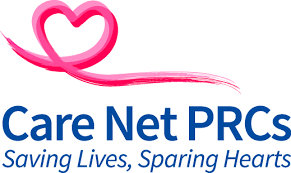 Care Net PRCs has a long faithfulness in Prince William County. We are now beginning to meet adult individuals who have shared that their parents chose life because of this ministry’s work decades ago. They are true partners with the local church. As clients trust in Christ, they are then referred to faithful churches in our community. They equip parents to care for their newborns, partnering with churches to host “Ready on Arrival” classes. Care Net PRCS’ ministry extends healing and hope to those who have chosen abortion with abortion recovery classes and Bible studies. We are thankful to partner with this ministry as a church, and we look forward to the opening of their new center at the intersection of Prince William Parkway and Hillendale Road. As I have served on their Board of Directors since the other year, I have become increasingly thankful for their faithfulness, energy, and commitment to the gospel and the sanctity of life. Let us remember them in prayer, and consider how we might partner with them in service or giving as we work together for the sanctity of life.